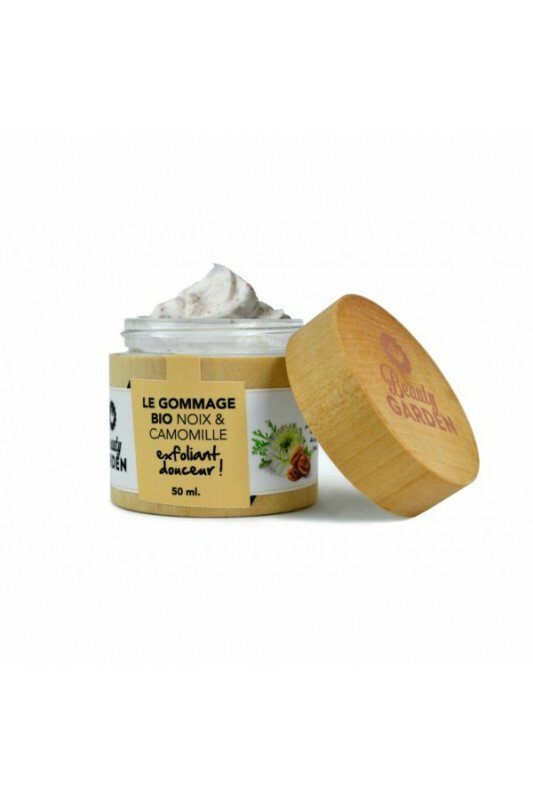 Beauty Garden Organic Face Scrub gently exfoliates your skin thanks to organic crushed walnut shells. Its creamy texture is fine for all skin types even dry and sensitive. Enriched with organic camomile oil, your skin is soft and nourished. 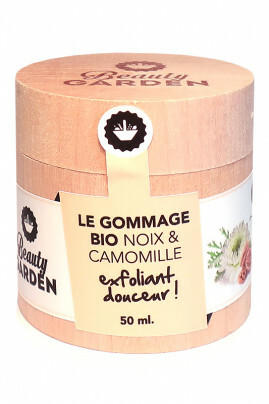 Beauty Garden Organic Scrub Exfoliating for Face cleans perfectly your skin and eliminates impurities ! Un gommage doux et léger comme j'aime :-) ! Merci ! Your skin is very soft thanks to BEAUTY GARDEN Face Exfoliating Cream ! Once or two a week, apply Organic Face Scrub using circular motions on wet skin, avoiding eye contour area. Rinse abundantly with clear water. Aqua (Water), Helianthus annuus (Sunflower) seed oil*, Butyrospermum parkii (Shea) butter extract*, Glyceryl stearate, Cetearyl olivate, Sorbitan olivate, Juglans regia (Walnut) shell powder*, Anthemis nobilis flower powder*, Leuconostoc/radish root ferment filtrate, Xanthan gum, Parfum (Fragrance), Gluconolactone, Tocopherol, Linalool. Login to write your review!